When Shirley Chisholm was elected in 1968 to represent New York's 12th District, which included her own neighborhood of Crown Heights, she made headlines as the first African-American woman elected to Congress. However, she soon found her congressional career stunted at its start by race-related politics. Bowing to political pressures from southern politicians, the House's leadership assigned Chisholm to the Agriculture Committee, a place where it was assumed that she could have little influence. At the time, some in the New York media questioned the appointment and expressed doubt as to Chisholm's ability to affect the legislative agenda. The less-than-open-arms welcome caused Chisholm, who died in 2005, an understandable amount of frustration, according to Anna V. Jefferson, a former state senator from New York's 22nd District. She was interested in taking care of the issues in the inner city. That committee had no power "She was trying to help poor people," explained Jefferson. "She was interested in taking care of the issues in the inner city. That committee had no power" to do that. 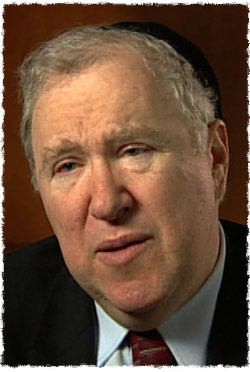 But a phone call from the Rebbe's secretariat – a simple "the Lubavitcher Rebbe wants to see you" – changed her attitude, says David Luchins, who was a senior advisor to the late U.S. Sen. Daniel Patrick Moynihan (D-N.Y.) and chairs the political science department at Touro College. According to Luchins, a 20-year veteran of Moynihan's staff who in 1983 heard the story first-hand from Chisholm at a party celebrating her retirement from Congress, the Rebbe, Rabbi Menachem Mendel Schneerson, of righteous memory, told the congresswoman, "I know you're very upset." Chisholm, who lived a block away from the Rebbe and had met him once before when she was running for Congress and searching for endorsements, told the Rebbe, "I am upset. I'm insulted. What should I do?" The Rebbe, who had declined to endorse Chisholm's candidacy and that of her predecessors because of his policy of non-involvement in political campaigns, turned the situation around. "What a blessing G‑d has given you!" the Rebbe told Chisholm "What a blessing G‑d has given you!" the Rebbe told Chisholm, urging her to take advantage of the Divine Providence that put her in a position to do something about food supplies. "This country has so much surplus food, and there are so many hungry people. You can use this gift that G‑d gave you to feed hungry people. Find a creative way to do it." Tasked with this charge, Chisholm happened to meet U.S. Sen. Bob Dole (R-Kansas) on her first day in Washington. The farm-state politician – and later Senate Majority Leader and presidential candidate – was looking for help in shoring up the economic plight of Midwestern farmers who were losing money on their crops. "Americans started purchasing [produce] from Cuba," explained Jefferson, who was a close associate of Chisholm's. "So as a result of the imports, the farmers were poor." According to Luchins, Dole told Chisholm: "Our farmers have all this extra food, we don't know what to do with it." Chisholm thought, "One second. The Rabbi!" During the next few years, and for the duration of the 1970s, Chisholm worked to expand the national Food Stamp Program, which allowed poor Americans to buy subsidized food. Finally, in 1973, the Agriculture and Consumer Protection Act mandated that Food Stamps be made available in every jurisdiction in the United States. 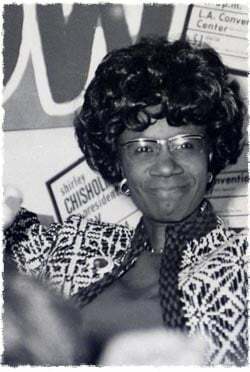 It was in the creation of the WIC program, however, that Chisholm really made her mark. The 1969 White House Conference on Food Nutrition and Health recommended targeted food supplements for high-risk pregnant women and their infants. Chisholm, in the House, and Dole, in the Senate, championed the idea and got Congress to approve a two-year pilot project that would be administered by the U.S. Department of Agriculture. The USDA, though, fought the measure. It finally took a federal lawsuit to get the USDA to relent, and today more than 8 million people receive WIC benefits each month, according to U.S. government figures. Chisholm "was responsible for the food program," said Vernell Alburary, former president of the Shirley Chisholm Institute for Children. "She was a strong, determined individual." But Chisholm herself gave ultimate credit to the Rebbe, said Luchins. She "said at her retirement party, 'I owe this because a Rabbi who is an optimist taught me that what you may think is a challenge is a gift from G‑d,'" said Luchins in an interview he gave to Jewish Educational Media. "'And if poor babies,' I heard her say this, 'If poor babies have milk, and poor children have food, it's because this Rabbi in Crown Heights had vision.'" Click here to watch Luchins' interview with Jewish Educational Media (JEM). Trust, but verify Is Dr. David Luchins the only one to hear NY Congresswoman Shirley Chisholm credit the Rebbe for her accomplishments on the Agriculture Committee? One would think that if Shirley Chisholm was so instrumental in expanding the national Food Stamp Program, creating the WIC Program, and responsible for Health recommended targeted food supplements for high-risk pregnant women and their infants; this would easily be found all over the internet on websites that do not reference CHABAD. Did any non-Jews recount the same stories without referencing a Jewish source? Did her press secretary release anything about this? Please provide me with unrelated Jewish sources that validate these stories. Legislation I have to admit having some misgivings about this article, initially, for several reasons which Valerio Filoso pointed out. I have to believe that if the farmers truly had food and nothing to do with it, then it must have been a problem created by legislation. Why would farmers grow worthless food? Someone else must have made their food worthless. Ideally, people would be able to give of their own free will, especially if food happened to be so cheap. But if some worthless legislation got in the way and kept the food in silos waiting to rot... at least someone found something better to do with it. Economists have often described agriculture as a field in which it is impossible to prosper in a free market. It is precisely the lack of government intervention in the market that is the problem for farmers. The trouble with bad economics 1. I can hardly imagine that the Lubavitcher Rebbe of Blessed Memory suggested to Mrs. Crisholm to use taxation – aka, government coercion – to feed people in need. Taxation makes no rhyme with creativity. The Rebbe should not be considered responsible for supporting, even indirectly, a rise in taxation. Doing a mitzvah, like charity, implies free will and government action is designed exactly to prevent people from using it.